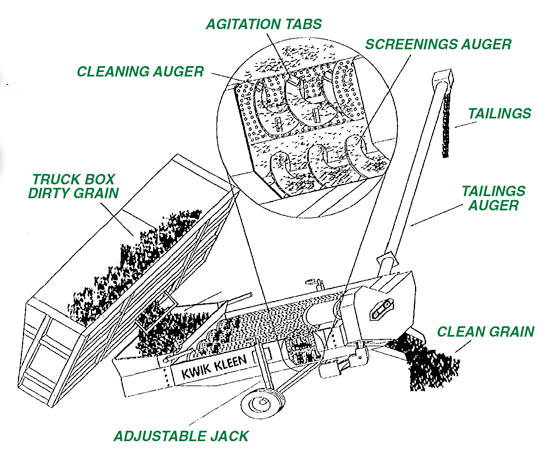 The Kwik-Kleen grain cleaner allows you to clean your grain at harvest time. Clean grain dries and stores better, saving you time and money. It is compact to fit in confined areas but large enough to keep up with most harvest conditions. 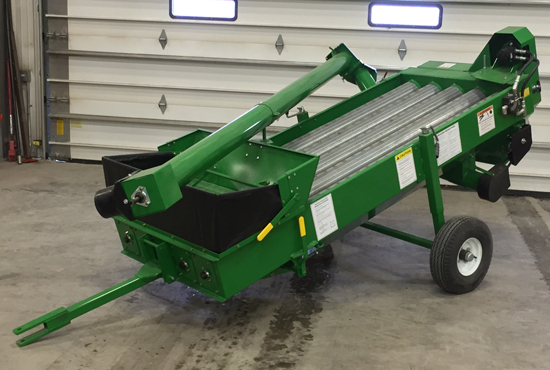 It comes equipped with variable speed control and grain feed rate adjustment, and the cleaning area is full circumference of tubes. The majority of cleaning is done on the sides and tops of tubes. 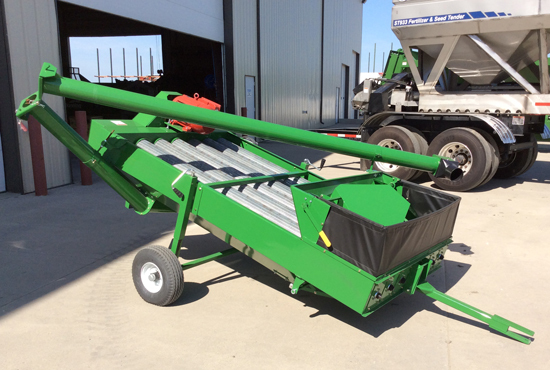 It also comes equipped with a spring-loaded hopper and easy-to-remove one-pin hitch that enables you to back cleaner up to grain storage bins to clean stored grain. It can be used for sizing and separating certain grains. Copyright © 2016–2019 Norwood Sales. All rights reserved. Website by Ecliptic Technologies, Inc.